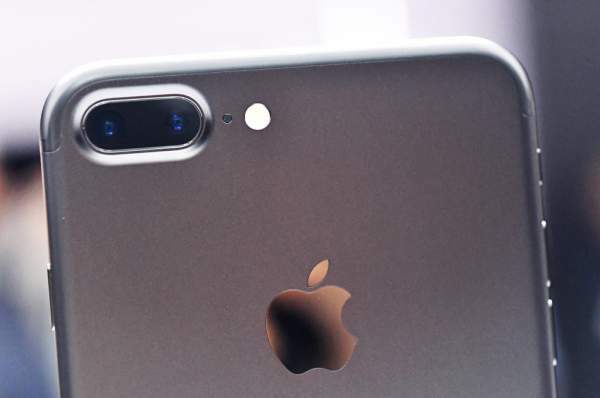 Apple has launched advanced camera system with longest battery life. The display shows the crisp picture and provides HD experience to the users. This is most powerful Apple smartphone till now. The company has officially launched iPhone7 and iPhone 7 Plus. i7 comes in Rose Gold, Gold, Silver, Black and Jet Black colors. The company offers 32 GB, 128GB, and 256 GB memory variants. The jet black color is exclusively available in 128 GB and 256GB options. The dimensions are 138.3 x 67.1 x 7.1mm(5.44 x 2.64 x 0.28 in) and weighs about 138 gms(4.87 oz). iPhone 7 features a 4.7 inches Retina HD display. This offers a screen resolution of 1334 x 750 pixels at a pixel density of 326 ppi and 1400:1 contrast ratio (typical). The primary camera of the device is 12 MP with an aperture of f/1.8 and offers digital zoom up to 5x. This device provides more battery backup of 2 hours than iPhone6s and has 1o days of standby time. iPhone 7 Plus comes in the same color options and specs as of iPhone 7. The dimensions are 158.2 x 77.9 x 7.3mm(6.23 x 3.07 x 0.29 in) and weighs about 188 gms(6.63 oz). iPhone 7 Plus features 5.5 inches LED-backlit widescreen with a resolution of 1920 x 1080 pixels at 401 ppi. The screen offers Multi-touch display with IPS technology. The company is offering 12 MP cameras with an aperture of f/1.8 for wide-angle and f/2.8 for telephoto. The camera offers 2x optical zoom and 10x digital zoom. This device supports battery backup up to 1 hour longer than iPhone6s Plus and provides the standby time of 16 days. Both models support fingerprint resistant oleophobic coating, digital zoom, reach-ability and supports for display of multiple languages. Both provides splash, water, and dust resistant under IEC standard 60529. The company is providing A10 fusion chip with 64-bit architecture Embedded M10 motion co-processor. Both models support optical image stabilization, six element lens, Panorama, autofocus with focus pixels, Body and face detection, burst mode, time mode and photo Geo-tagging. The camera records FHD video recording at 30 fps or 60 fps and 720p HD video at 30 fps. For face-time, the camera offers 7 MP photos and records videos with 1080p. The fingerprint sensor is also an inbuilt feature into the new Home button on the front side of the phone. Apple offers Wi-Fi 802.11, Bluetooth v4.2 and NFC in both the models. For Siri, you can send your voice to send messages and set reminders and more. Over the looks, both the devices has a Home/Touch ID sensor on the front side, Volume up/down and Ring/Silent buttons on the left side of the screen. There is a lightning connector on the bottom of the device. This time, Apple has ditched the traditional trend of headphone socket in these models. Apple has promoted wireless earphone in these series of smartphone. Over the price, iPhone 7 and iPhone 7 Plus are priced between 599 pounds to 799 pounds and 719 pounds to 919 pounds depending upon the storage availability. This is all about Apple iPhone 7 Specifications, Price, Release Date, Features. Stay tuned.